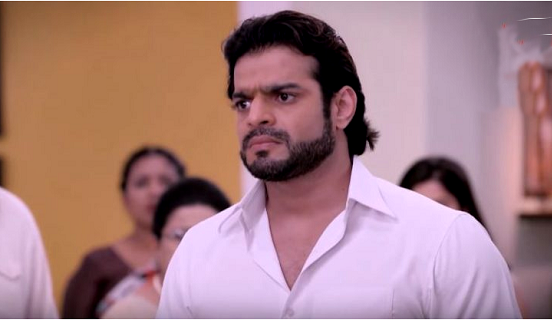 Yeh Hai Mohabbatein: Raman tells Simmi that they have to deal with Sudha with a calm mind. He asks Simmi to control her anger. Sudha comes well prepared. She tells the investors that Raman will be leading the meeting. Raman has no idea about the agenda. Sudha (Sudha Chandran) tells him that she wants to get more profits for the company. Raman shares the good ideas. He gets praised by everyone. Raman doesn’t understand how Sudha didn’t oppose him today. Karan (Reyansh Vir Chadha) and Rohan bear the tortures by Bhalla. Rohan(Abhishek Malik) tells him that Sudha will soon free them. Simmi, Aaliya and Ruhi make sure that Rohan (Abhishek Malik) and Karan suffer much. They make fun of Sudha and her sons. Rohan and Karan’s lives get miserable. They don’t get appreciated for their work. Simmi tells Ishita (Divyanka Tripathi) that she didn’t burn Karan’s hand, he is overacting just to gain some sympathy. Rohan and Karan are over pampered by Sudha. Iyers come across someone, needing help. They help the poor lady. Simmi Bhalla asks Rohan and Karan(Reyansh Vir Chadha) to properly do the work, else bear the punishment. Rohan knows Karan is younger and not habitual to do the work. He asks Simmi to spare Karan. Rohan gets ready to do Karan’s share of work as well. Sudha (Sudha Chandran) comes up with a new plan, after keeping it calm. Ishita (Divyanka Tripathi) worries for Raman. He tells her that there won’t be any storm. They get a shocking news about the allegation on Raman. Raman Bhalla gets blamed for the worker’s accidental death. Raman Bhalla tells Ishita that he can’t recall anything. Ishita asks him to check the records to find the truth. Sudha asks Raman how can he not compensate for worker’s death. She gets taunting him for his negligence towards his employees. When Ishita defends Raman, Sudha reminds him the labor laws. She wants Raman to repent for his mistakes and pay the losses. She doesn’t want any loss for the company. She acts concerned for the company. Ishita Bhalla suspects that Sudha is responsible for the new blame. Raman Bhalla feels guilty about the worker’s problem. Sudha suspends Raman Bhalla from work. She keeps the condition to get her sons back home. She tries to strike a deal again. Will Raman and Ishita agree to her? Keep reading.